Video games, even though they are one of the present’s quintessential media and cultural forms, also have a surprising and many-sided relation with the past. From seminal series like Sid Meier’s Civilization or Assassin’s Creed to innovative indies like Never Alone and Herald, games have integrated heritages and histories as key components of their design, narrative, and play. This has allowed hundreds of millions of people to experience humanity’s diverse heritage through the thrill of interactive and playful discovery, exploration, and (re-)creation. Just as video games have embraced the past, games themselves are also emerging as an exciting new field of inquiry in disciplines that study the past. Games and other interactive media are not only becoming more and more important as tools for knowledge dissemination and heritage communication, but they also provide a creative space for theoretical and methodological innovations. 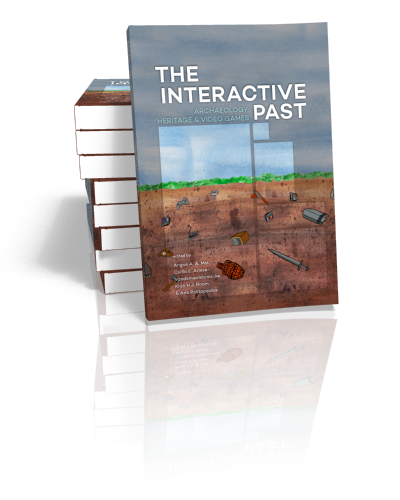 The Interactive Past brings together a diverse group of thinkers — including archaeologists, heritage scholars, game creators, conservators and more — who explore the interface of video games and the past in a series of unique and engaging writings. They address such topics as how thinking about and creating games can inform on archaeological method and theory, how to leverage games for the communication of powerful and positive narratives, how games can be studied archaeologically and the challenges they present in terms of conservation, and why the deaths of virtual Romans and the treatment of video game chickens matters. The book also includes a crowd-sourced chapter in the form of a question-chain-game, written by the Kickstarter backers whose donations made this book possible. 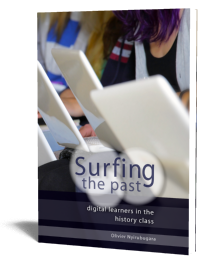 Together, these exciting and enlightening examples provide a convincing case for how interactive play can power the experience of the past and vice versa. Angus Mol is a post-doctoral researcher. He works on the theory and methodology of past and present socio-material networks, ranging from entanglements at Çatalhöyük and cultural encounters in the Caribbean, to the materiality of online multiplayer games. His writings have appeared at Sidestone Press, in a number of international journals, and, as Dr. Random, on www.valueproject.nl. 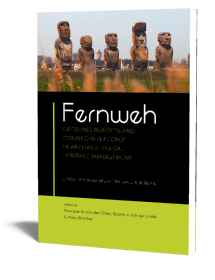 Aris is a PhD candidate at Leiden University, Faculty of Archaeology. Aside from video games, he is passionate about the Near East and more specifically the Assyrian Empire and its capital cities. He investigates the reasons for the construction of new capitals, as well as their function within the imperial system. He is also interested in all forms of storytelling and narratives – from Dungeons and Dragons to history-telling.